No part of me expected to like Orphan Train by Christina Baker Kline. These are oft-repeated words when I'm blindly throwing myself into a book for my Girls Night Out face-to-face book club. I really thought this was gonna stink it up. I just didn't think it was for me. Especially since it's the eleventy-fifth book we've read that features dual narrators. But yeah. Whenever I think I'm not gonna like an unfamiliar-to-me book, I love it! So, I should just let someone else make all my reading decisions and if I know little-to-nothing about the book, even better! Those are the big winners (see Me Before You, The Obituary Writer). Of the two narrators in this book, I absolutely adored, fell in love with, and pulled for, Vivian. Molly, I sort of just put up with--in the early parts of the book. As is often the case with split narratives that alternate in time period, the reader (ME) warms up to one storyline far more than the other. In my case, I usually prefer the historical narrative, and this was no exception. I wanted to wallow in Vivian's story. I wanted to stay with her despite all the horrible things she went through: a seamstress in a family's business, a maid on a farm crawling with detestable people, and finally as a daughter to a family of store owners -- all the massive hurdles she had to jump. I loved watching her grow up and move from one family to the next because, even though I disliked most of them and what Vivian was put through, the individual families' plights added to the color of the story. Molly wasn't bad, I guess. She was certainly a necessary character to bring the story to its climax and conclusion. However, she was far less vivid to me. Her story--an orphan about to "age out" of the foster system, a bratty teen who learns valuable life lessons from the sage elderly friend--is one I've read before. Meh. 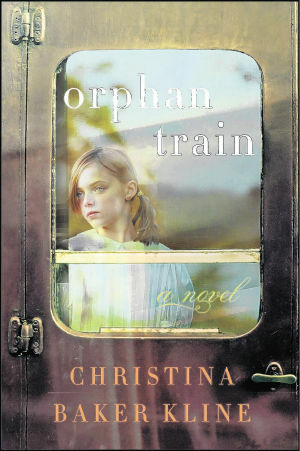 I was completely unfamiliar with the historical fact of "orphan trains." If you're as ill-informed as I was, you can read more at PBS, here. Overall this was a very entertaining book. One that's really stuck with me, even if those memories are heavily weighted toward one storyline rather than both. Give it a try if you get a chance! “Alma Mater” Participation Post: You are graduating today–list your accomplishments big and small for the week. Hop around and congratulate all of your friends on their accomplishments. Woohoo! My first week-long readathon down. I definitely didn't throw myself into this one like I do for the Dewey's 24 Hour Read-a-Thon, but that would be impossible since I work an 8-5er. But it was still fun to have some extra incentive to read and some new blogs to peruse. I wish I'd gotten more read this week. I mad some headway on Owen Meany and I read The Glass Castle in full -- almost all of it on Saturday alone. Now I'm jumping into The Astronaut Wives Club. Thanks to the hosts for a fun event!